Hotel Halifax prides itself on offering our guests traditional maritime hospitality and all the modern amenities required for a pleasant stay. Complimentary high-speed internet is provided in all rooms and suites, and our onsite Business Centre makes it easy to keep in touch or run off a last-minute report. For relaxation, our indoor heated pool, saunas and award winning massage therapy make it easy to unwind. Enjoy Happy Hour or a fabulous meal at Harbour City Bar & Grill, our award-winning restaurant. Our hotel is completely non-smoking and pet friendly. We offer complimentary high-speed internet in all rooms and suites. Fitness Centre open 24 hours a day with cardiovascular equipment and free weights. 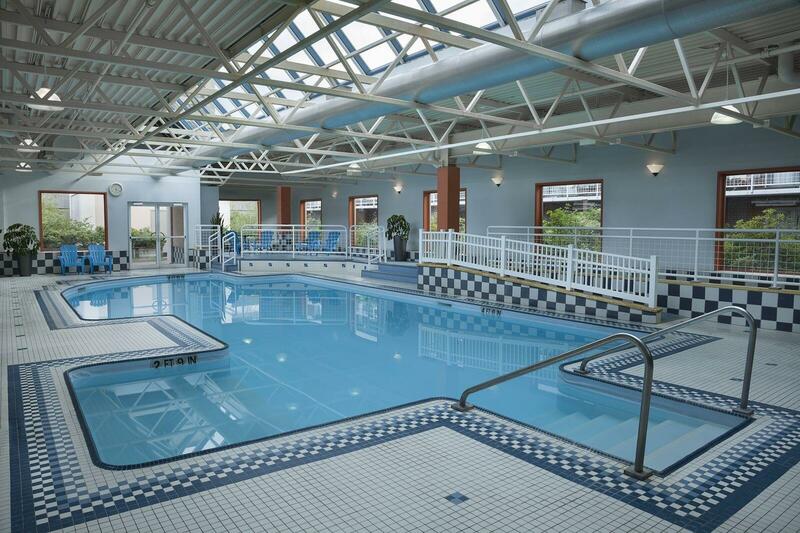 Our indoor heated pool is open from 6:00 am to 11:00 pm. Towels are provided. Sauna is available in each changing room in the pool area. We offer complimentary computers with Wi-Fi for you to log on and browse or print off any documents needed during your stay. We offer offsite dry cleaning service with daily pick-ups and drop-offs for any dry cleaning needed. Smoke free guest rooms and indoor public areas.